Say Hi to CNP Laboratory! ❤ This is my first time trying out CNP Laboratory skincare products which are developed by 50 skin doctors led by Dr Lee Dongwon at the renowned CNP Skin Specialist Clinic in Korea. CNP Laboratory is a cosmeceutical skincare brand based in Korea. It is rather "clinical" and specially catered for solving various skin problems and rejuvenating skin. For the best of quality, it uses only safe ingredients and is free from 5 harmful additives. Each product goes through more than 7 stringent tests and verification stages to ensure the highest integrity to customers. Where to buy CNP Laboratory skincare in Malaysia? Actually it is a sister brand to THE FACE SHOP. Remember my previous review for Makeremake and Tomaru Korean skincare? 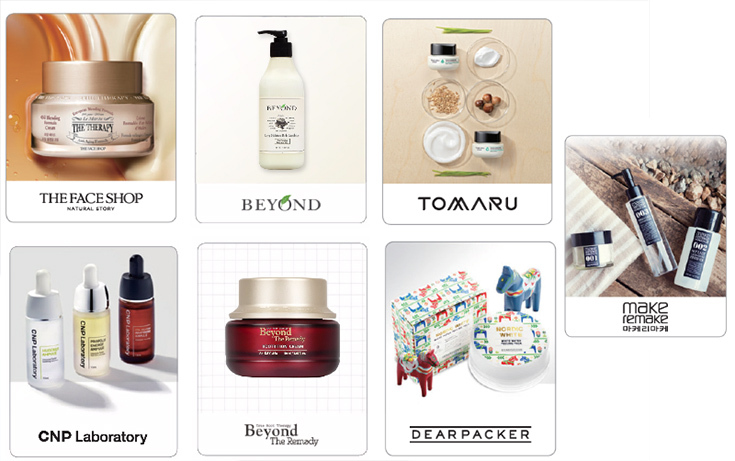 All of them are available at NATURE SMART K-Beauty Multi-Brand Store, The Spring mall, Kuching from July 2017 onwards. Tomaru, Beyond The Remedy, CNP Laboratory, Dear Packer and Makeremake. Don't worry if Kuching is too far for you. They are now available at THE FACE SHOP e-store too. For CNP Laboratory, the skincare regime is pretty straightforward -- Just 4 steps and you're good to go. After cleansing, it is always important to hydrate the skin with toner. Hence, I have this alcohol-free mild A-Clean Active Freshner Toner with me to maintain the skin moisture balance and control facial sebum. It not only hydrates the skin, but also reduces acne at the same time. How To Use: Spray a moderate amount after facial cleansing in the morning and at night to even out your skin tone. Beauty Tips: For best result, use A-Clean All Control Moisturizer after toner. The toner gives a refreshing sensation upon each spray. Simple and non-scented, it moisturizes and preps the skin well for the next skincare step. 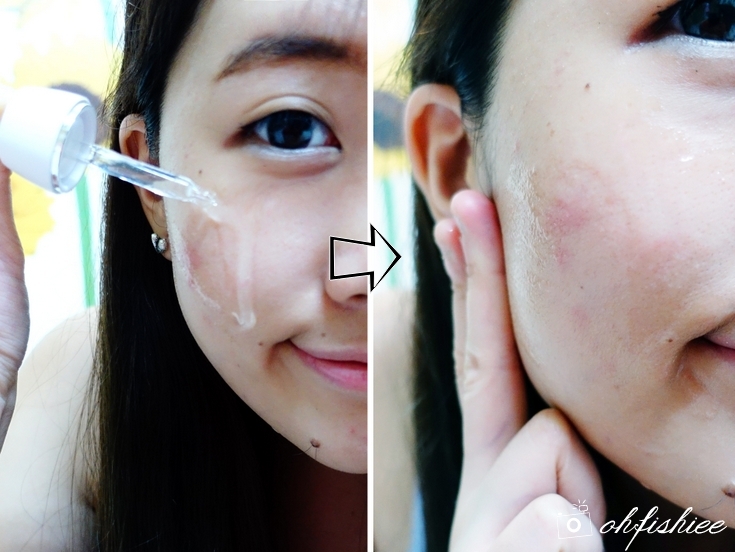 Usually after toning, I would apply the serum / essence to moisturize the skin. But before that, the Mugener Ampule is a great addition to the skincare regime, especially for those with oily and acne-prone skin. If you are familiar with Korean "snail beauty" concept, I'm sure you know the benefits of snail mucus extract -- Anti-aging, repair damaged skin, and restore hydration. CNP Mugener Ampule uses this highly sought-after ingredient to relieve skin redness, calm blemished skin and soothe sensitive skin effectively. How To Use: Apply a moderate amount on the entire face after cleansing, use every morning and night as part of daily skincare routine. Beauty Tips: For best result, use after toner. The ampule has a very similar texture to my favourite serum. Very lightweight, easy to spread across the skin and most importantly, it leaves a very smooth and soothing sensation on the skin. Just great for the redness I experience on my cheeks. Two full drops of the ampule is sufficient for a thin layer covering the entire face and neck. So don't belittle this small bottle; a little of the product can go a long way. And the last basic step for me is always the day or night cream. Instead of the thick creamy type, CNP Lab's version comes in a much lightweight gel form to relieve and soothe any skin irritation and provide instant moisture. This moisture recharging gel cream has a very airy, lightweight gel texture that literally "flows" on the skin and adheres well without being sticky at all. One thing I love about gel type of facial cream is the super quick absorption into the skin and no sticky residue is left behind. Overall, The formula is pretty refreshing, soothing and cooling to the skin. Best to use during a hot day! And it works well as a quick moisture booster so that it can help my makeup to stay after that. Overall, the products I try are mild yet effective solutions for oily / acne-prone skin. If you have other skin concerns, fret not, CNP Lab has several derma skincare lines for different skin needs as well. All CNP Laboratory products are available at Nature Smart, The Spring Mall, Kuching and THE FACE SHOP online store. Thanks for sharing such an informative post. I believe Korean products are best for skin care and work naturally. I’ve tried Korean products but they doesn’t suit my sensitive skin. To get rid of aging signs I’ve started using revitol anti aging solution which has ingredients like niacinamide, collagen, propolis, honey, adenosine and a mild and stable form of vitamin C. REVITOL ANTI AGING SOLUTION completely suits my sensitive skin and I have actually started noticing changes on my skin.